Once your booking has been confirmed, to cancel the booking, the person making the booking must either; email our reservations department or cancel online via our website. Our contact details are stated on your booking confirmation. Cancellation takes effect on the date we receive your email or the date you cancel online. You will forfeit the deposit of one nights stay paid at the time of booking if cancelled no less than 60 days prior to arrival. The amount of 100% will be payable if cancelled less than 60 days prior to your arrival. The amount of 100% will be payable if you do not arrive on your due date unless you have advised us in writing of any delay. The reservation will also be subsequently cancelled after midnight or your due arrival date. Cancellations or reservation amendments after check in will not be accepted for any reason. Early departure will be subject to full room reservation charge. 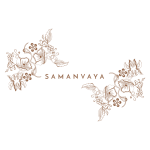 Copyright Notice - This website and its content is copyright of www.samanvaya-bali.com © 2012. All rights reserved. Any redistribution or reproduction of part or all of the contents in any form is prohibited other than the following: You may print or download to a local hard disk extracts for your personal and non-commercial use only You may copy the content to individual third parties for their personal use, but only if you acknowledge the website as the source of the material You may not, except with our express written permission, distribute or commercially exploit the content. Nor may you transmit it or store it in any other website or other form of electronic retrieval system. 2. Your contract with us - A binding contract is made with us on the earliest of either: a) you tell us that you would like to accept our written or verbal quotation and you pay us a deposit (see clause 4) or choose to do so at the time of booking, you make full payment of the cost of your booking; or b) we issue you with a confirmation that will confirm the details of your booking and will be sent to you via email. 3. Paying for your booking - At the time of booking, you will be required to pay one nights stay as a deposit for the accommodation . A charge of 3% is automatically added to your payment if booked online through our website.. Where we have accepted a credit card to guarantee a last minute reservation by telephone or email, we will then debit your card by the the first night of the reservation + 3% credit card facility fee. All balances paid by credit card at the resort are liable for a 3% credit card facility fee. No shows will debited by the stored credit details on file plus a 3% credit card facility fee. 4. Accuracy - We endeavour to ensure that all the information and prices both on our website and in our brochures are accurate; however occasionally changes and errors occur and we reserve the right to correct prices and other details in such circumstances. 5. Confirmation - Please check your confirmation immediately on receipt. You must contact us as soon as possible if any information appears to be incorrect as it may not be possible to make changes later. 6. If you change your booking - If, you wish to change booking in any way once a binding contract is in place between us (see clause 2), (for example your chosen departure date or accommodation) we will do our utmost to make these changes but it may not always be possible. Any request for changes to be made must be in writing by email from the person who made the booking. Where we can meet a request we will change the booking subject to the different cost of dates and accommodation. The amount of the difference in price will be notified to you before you choose to proceed with any change. Where we are unable to assist you and you do not wish to proceed with the original booking we will treat this as a cancellation by you. A cancellation fee will be payable. Except for a change of name, any changes you make before your booking date will be treated as a cancellation and the cancellation charges shown in the section “If you cancel your booking”. 7. If you cancel your booking - Once your booking has been confirmed, to cancel the booking, the person making the booking must either; email our reservations department or cancel online via our website. Our contact details are stated on your booking confirmation. Cancellation takes effect on the date we receive your email or the date you cancel online. Last minute reservations taken by telephone require a valid credit card to guarantee the reservation. Last minute reservations may not be cancelled without penalty. In the event of last minute changes or no show, payment will be taken in full for the reservation made. Date on which written notice of cancellation is received by us:- You will forfeit the deposit of one nights stay paid at the time of booking if cancelled no less than 60 days prior to arrival. The full amount of 100% will be payable if cancelled less that 60 days prior to your arrival. The amount of 100% will be payable if you do not arrive on your due date unless you have advised us in writing of any delay. The reservation will also be subsequently cancelled after midnight or your due arrival date. Cancellations or reservation amendments after check in will not be accepted for any reason. Early departure will be subject to full room reservation charge. 8. If we change or cancel your booking - It is unlikely that we will have to make any changes to your booking or cancel it, however if the accommodation becomes unavailable for any reason we reserve the right to cancel or offer you an alternative. Occasionally, we may have to make changes and correct errors on the website and other details both before and after bookings have been confirmed. You may then: a) accept the changed arrangements; b) accepting an offer of an alternative accommodation of comparable standard from us, if available (we will refund any price difference if the alternative is of a lower value); or c) cancel your booking completely, in which case we will refund you all monies paid by you. 9. Unreasonable Behaviour - Unreasonable behaviour and threatening and abusive conduct towards other guests, staff and neighbours of Samanvaya will not be tolerated. The management of Samanvaya will refuse to allow check in to the reserved room/rooms if in their opinion the unreasonable behaviour including threatening and abusive conduct of anyone in your party is likely to cause offence to other guests, members of staff or to the neighbours of Samanvaya, or if the management of Samanvaya has reasonable cause to believe you or any member of your party will cause damage or loss to the property, its services or facilities. If this happens, the contract between you and Samanvaya will end and you and your party will have to leave Samanvaya immediately and will not receive any refund. We will not have any further responsibility to you after this happens. The management of Samanvaya can also end a stay after check in and/or at any time during your stay, if the unreasonable behaviour including threatening or abusive conduct of anyone in your party (including anyone invited onto the property by you) is likely to spoil the enjoyment, comfort or health of other guests, neighbours of Samanvaya or members of staff or where you or any member of your party (or anyone invited onto the property by you) has broken or is likely to break any of these terms and conditions. If this happens the contract between you and Samanvaya will end and you and your party will have to leave Samanvaya immediately and will not receive a refund. You may also be responsible for any costs we incur as a result of your behaviour or conduct. We will not have any further responsibility to you after this happens. In addition Samanvaya will not be obligated to accept another booking from you or members of your party in the future regardless where the booking was made either directly with Samanvaya, online travel agents or any other booking source. 10. Force Majeure - Except where otherwise expressly stated in these booking conditions we will not be liable if our contractual obligations to you are affected by any event which we could not, even with all due care, foresee or avoid. These events can include, but are not limited to war, threat of war, civil strife, terrorist activity and its consequences or the threat of such activity, riot, the act of any government or other national or local authority including port or river authorities, industrial dispute, natural or nuclear disaster, fire, chemical or biological disaster and adverse weather, sea, ice and river conditions and all similar events outside our control. 11. Your accommodation - This is reserved exclusively for the people named on the confirmation and no other persons are permitted to stay at the accommodation unless this has been agreed with us previously and appropriate payments made (if applicable). 12. Special requests - If you have a special request that does not form part of the arrangements described on the website or in our brochure, please inform us by email at the time of booking. We will do our best to comply with your request but cannot guarantee to do so. 13. Disabilities and Medical Problems - We will do our utmost to cater for any special requirements you may have. If you or any member of your party has any medical problem or disability which may affect your stay, please provide us with full details before we confirm your booking so that we can try to advise you as to the suitability of your chosen accommodation. 14. Agent Bookings - " Special Hot Deal" and any other promotional special rates such as "Last Minute Discounts" for example, but not limited to, are only available for the general public to book online through our website. Agent bookings and block bookings of dates are not permissible and will be subject to cancellation and refund in all cases. 15. Special Deals - Special deals such as Early Bird and other such deals are non refundable. A deposit is paid on reservation and the balance is taken on confirmation of the reservation. Samanvaya is an intimate luxury resort and spa set amongst the stunning panoramic rice terraces of the Sidemen valley. The Sideman Valley is without question - quintessential Bali offering not only magnificent views and landscapes but also a glimpse into the traditional Balinese way of life. Our guests can enjoy our infinity swimming pool, suspended over the rice terraces, relax in our adjacent natural temperature jacuzzi, whilst still enjoying the stunning vistas, chill in our lounge bar, dine in our restaurant, soak in our hot tub and practise yoga or meditation in our purpose built studio. We have 11 separate lodges/Lumbung’s all of which have been built by local craftsmen using reclaimed timbers and the very best sustainable hardwoods from the forests of East Kalimantan, and together with the traditional Alang Alang straw roofs, they blend effortlessly with the surrounding gardens and rice terraces.Each suite has the luxury of its own private terrace; a great place to witness the sun rising above the hills as the valley slowly stirs to life; and as the sun sets and darkness falls, amidst the serenity of Samanvaya, the distant lights of the coastline glisten as they meet with the stars in the clear night sky.